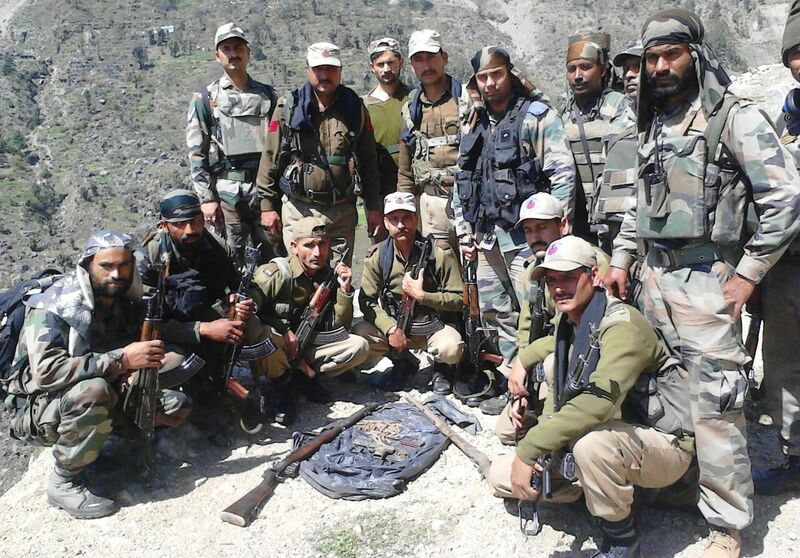 A joint team of troops Rashtriya Rifles Battalion under Delta Force and Jammu & Kashmir Police, Police Station Doda, busted a terrorist hideout at Kothi Nalla of Doda Tehsil, District today and recovered a large quantity of arms, ammunition and other war like stores. 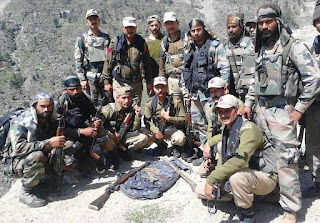 The operation was conducted jointly by Rashtriya Rifles Battalion, Arnora, Jammu & Kashmir Police, Doda on a specific input about an old hideout of militants operating in the area. The Joint Teams recovered 01 x Chinese Pistol, 01 x .303 Riffles, 01 x Country made Riffles, 01 x 9mm Chinese Pistol Magazine , 01 x .303Riffle Magazine , 57 x 7.62mm AK 47/56 Rounds and 06 x 9mm Pistol Rounds along with other war like stores. As per Intelligence Sources, the cache of arms and ammunition which had the potential to cause large scale causalities and damage to life and property, had been stacked by the terrorists in the hideout, to be used at an opportune time. The recovery of these is thus a serious blow to the terrorist outfits. General Officer Commanding, Delta Force complimented the troops and the Police personnel, who took part in the Operation. He said that the recovery of this cache manifests the sustained efforts by the Delta Force towards dismantling of terrorist infrastructure and support base of the remnant terrorists in the area.